Almost there folks! 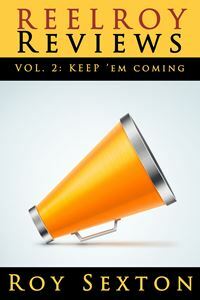 Just 4 days remain until the official launch of ReelRoyReviews, a book of film, music, and theatre reviews, by Roy Sexton! i loved, loved, loved this movie. Thanks, Susie. Kelly did a great job picking these quotes. And, yes, I agree wholeheartedly about this movie. I dearly loved it.